As a member of the Archdiocese of Chicago, St. Constance Parish School is committed to building successful futures one student at a time. 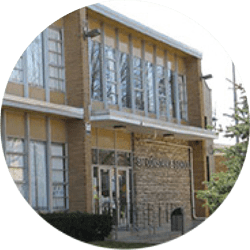 With deep roots in the Chicago area, St. Constance School and Church have been serving the community for 100 years! Unhappy with their current lighting system, St. Constance was interested in reducing operating cost and energy consumption as well as upgrading the outdated lighting throughout school’s interior and exterior space. Verde Solutions took a full assessment of the school’s interior and exterior to come up with a robust lighting plan that maximizes efficiencies and cost savings while ensuring the ROI justifies the project spend. Verde provided a low cost comprehensive solution that walked St. Constance through the process from audit to product procurement to installation and rebate management.